This listing features a Tiger Eye cabochon and bead, copper wire was used to make the frame and bail. 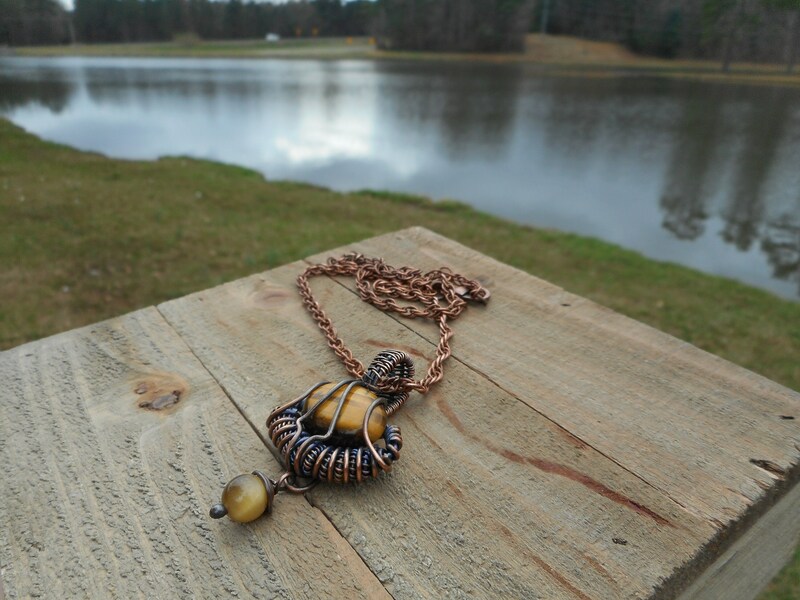 The pendant including the bead measures 55x30x9mm and it hangs on a 18” inches long copper chain. You will receive the same necklace listed including the copper chain!